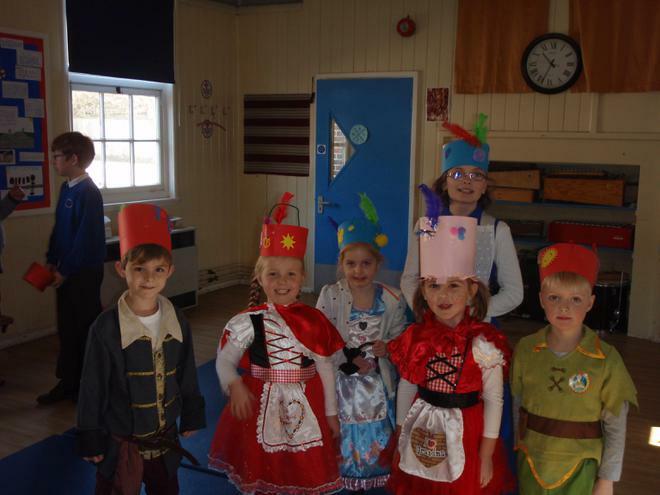 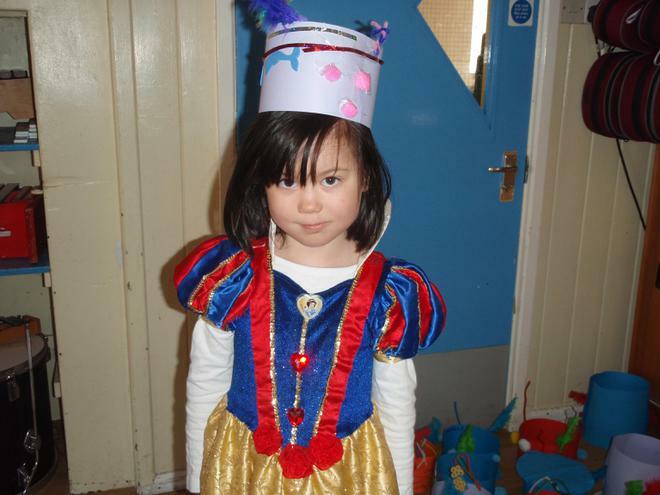 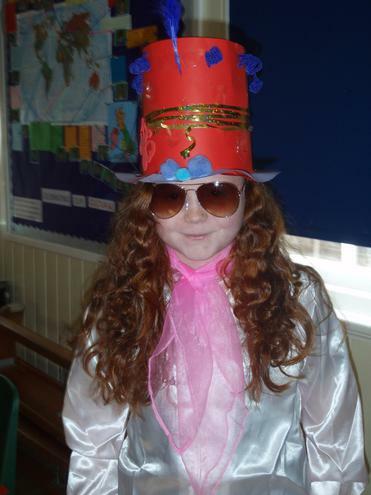 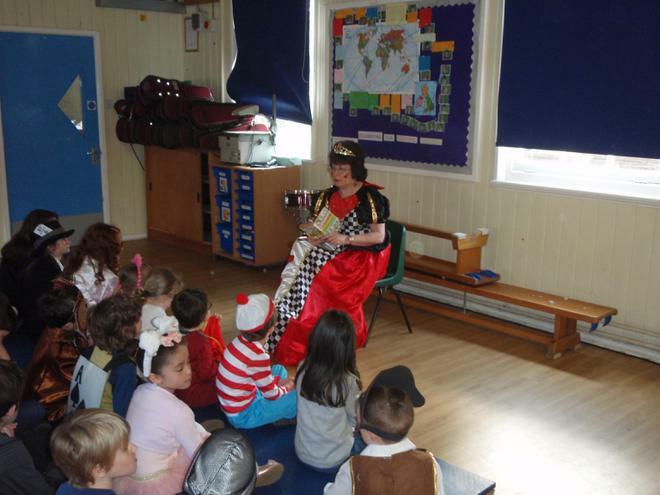 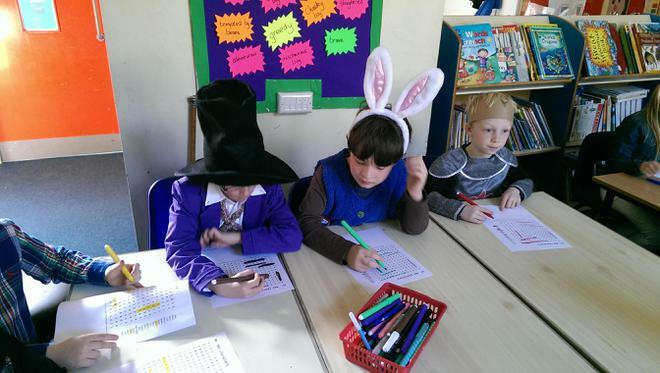 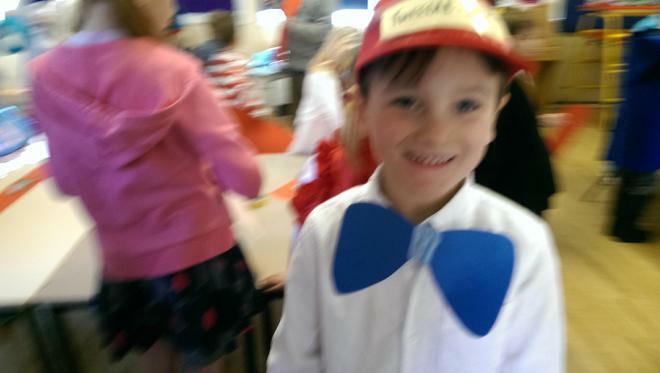 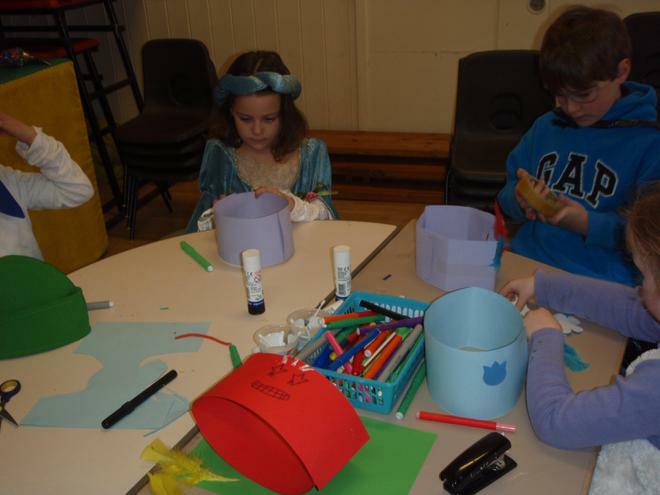 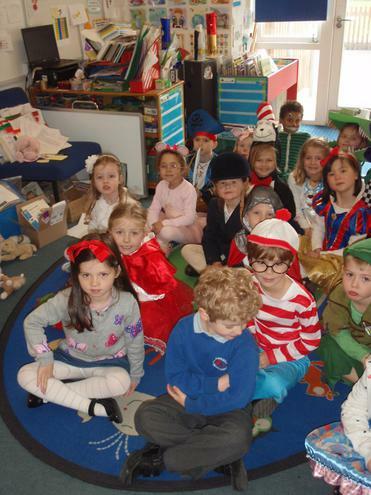 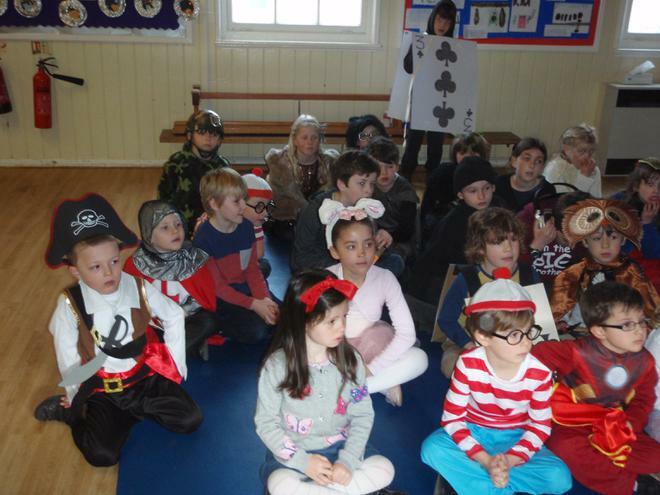 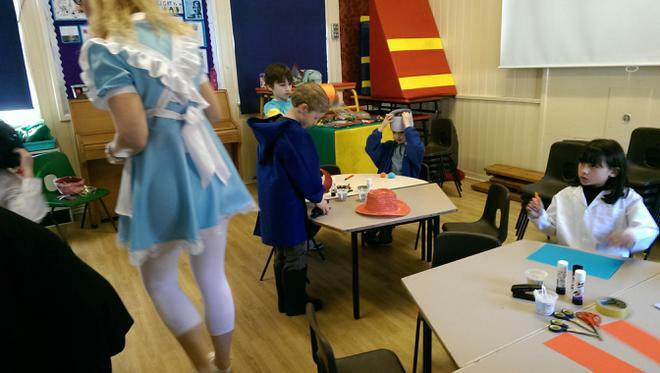 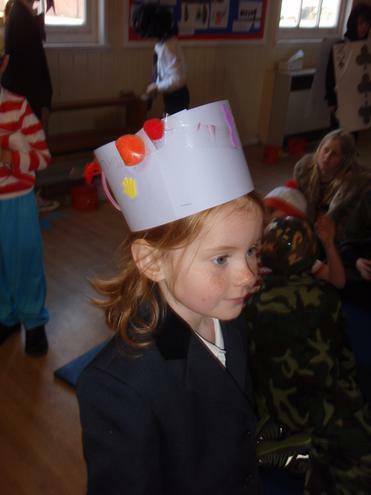 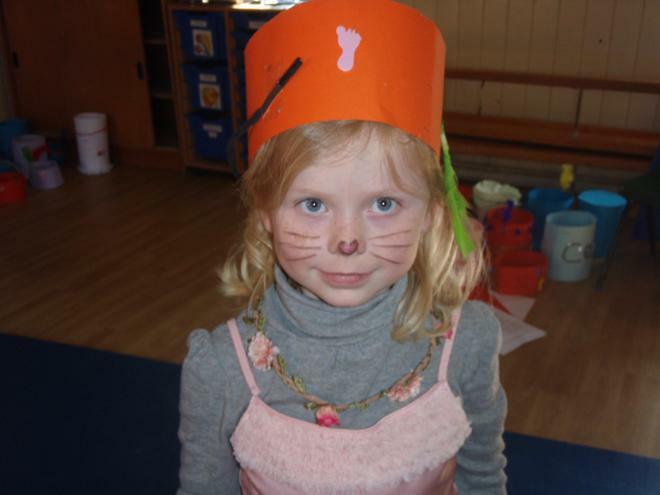 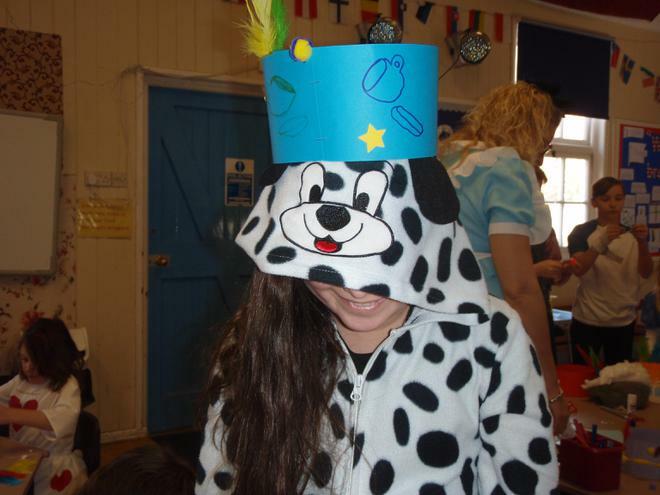 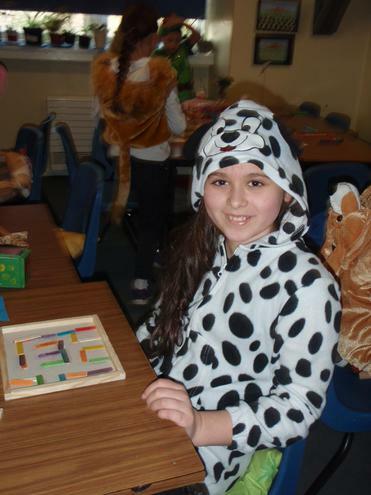 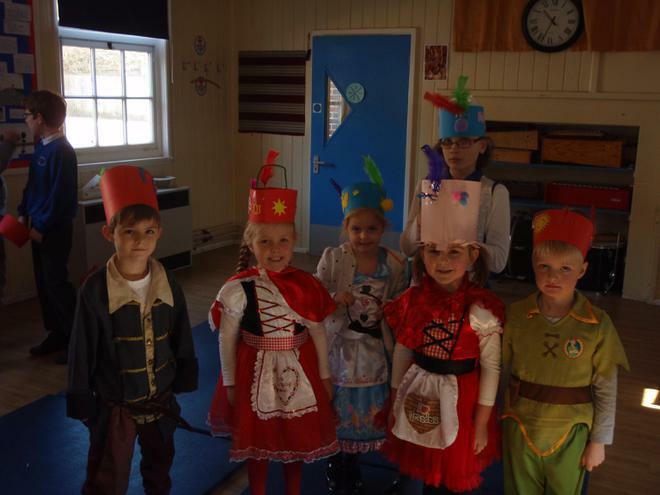 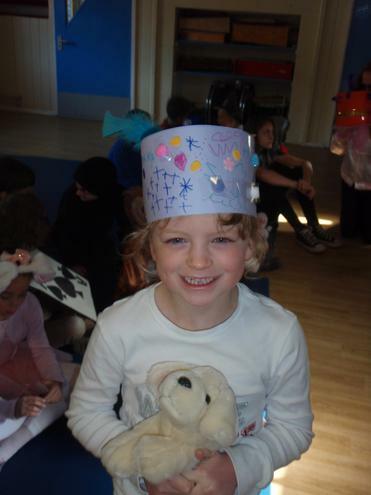 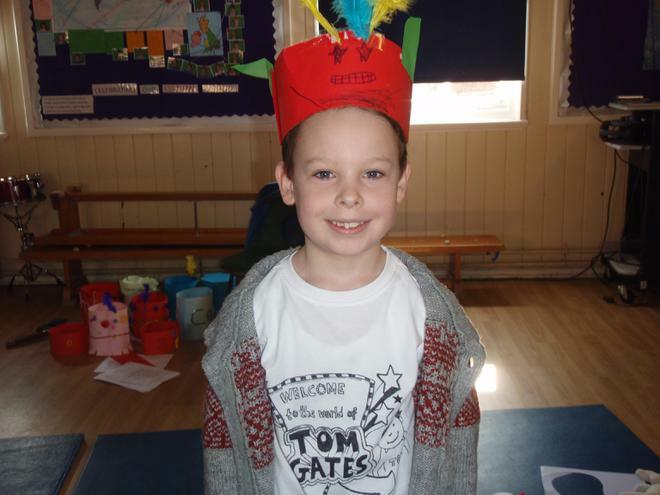 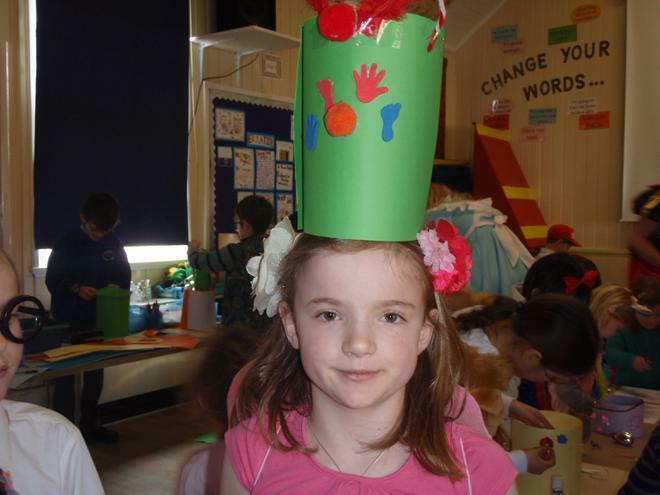 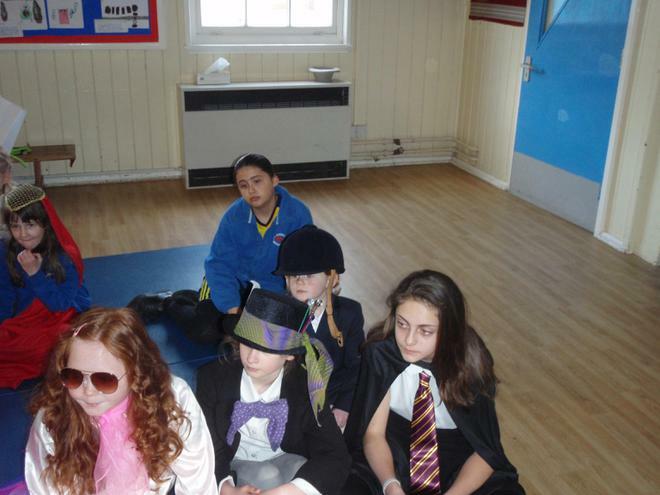 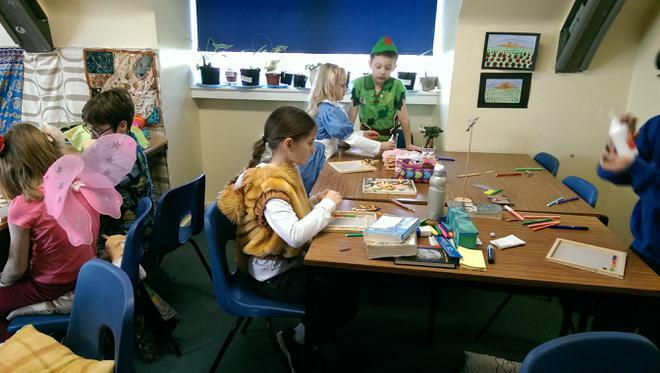 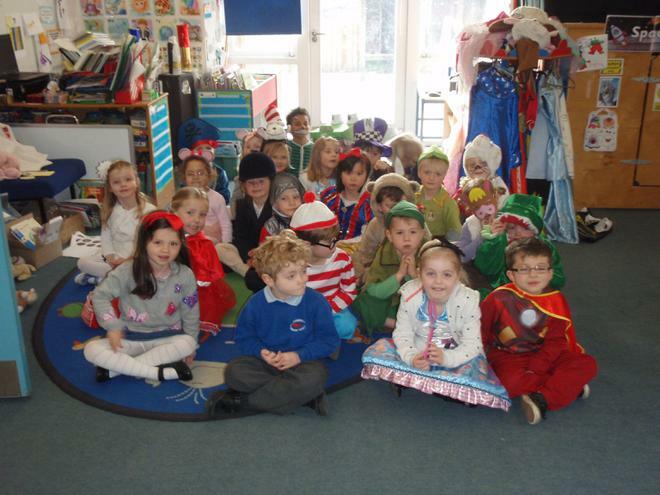 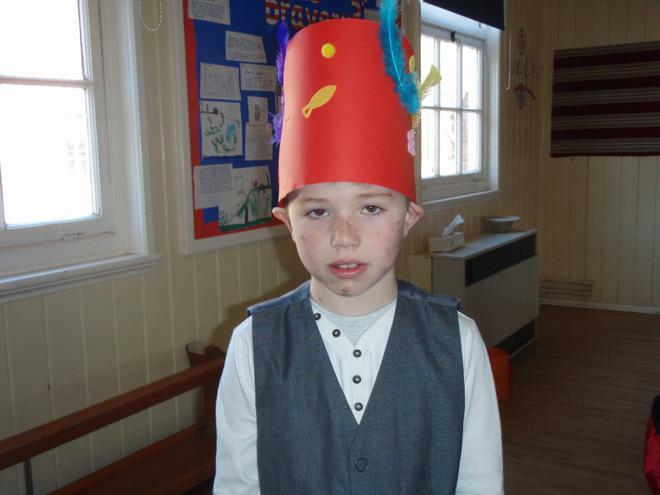 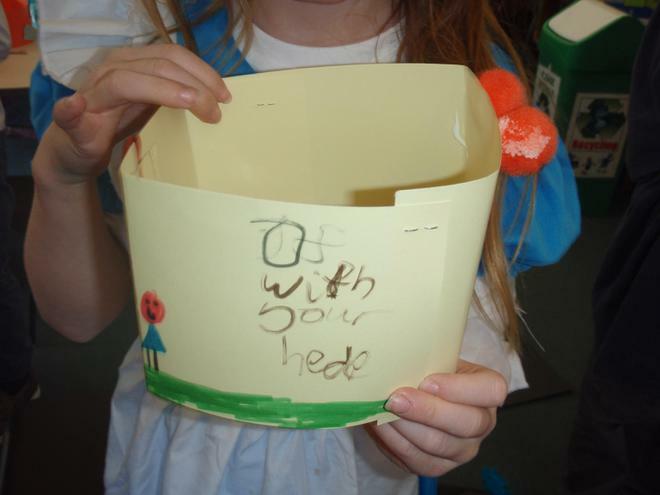 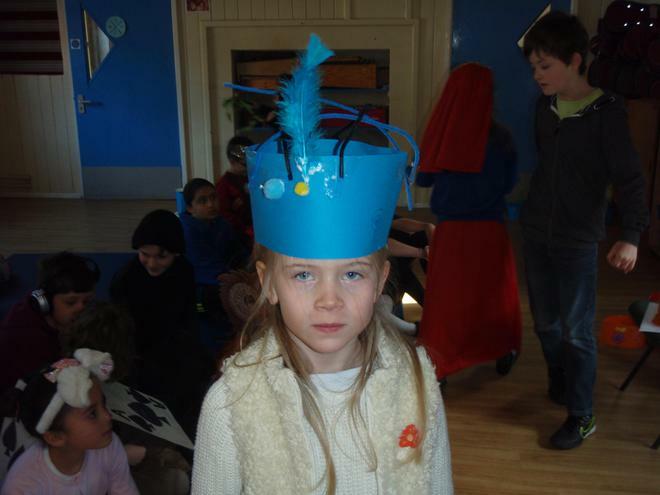 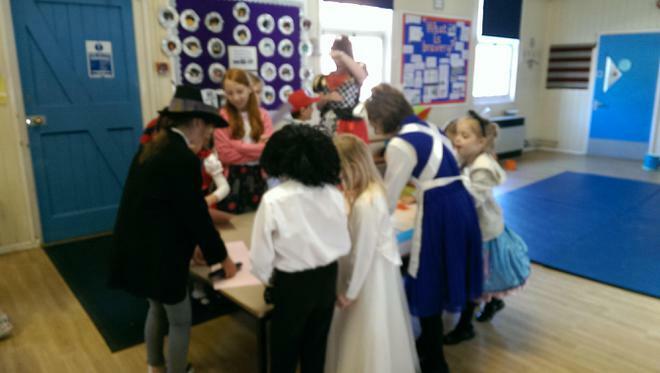 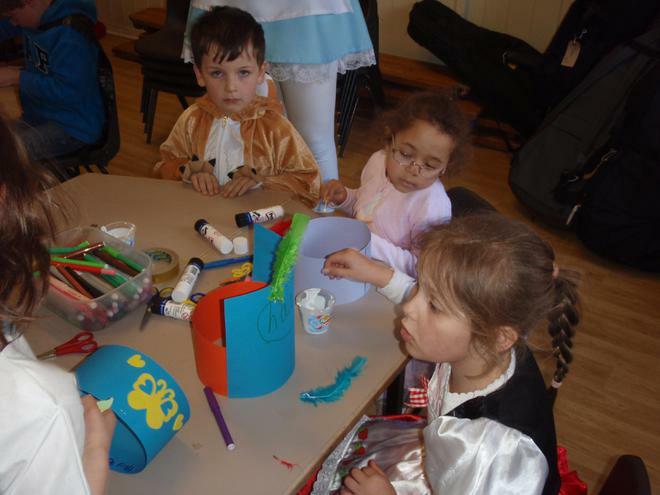 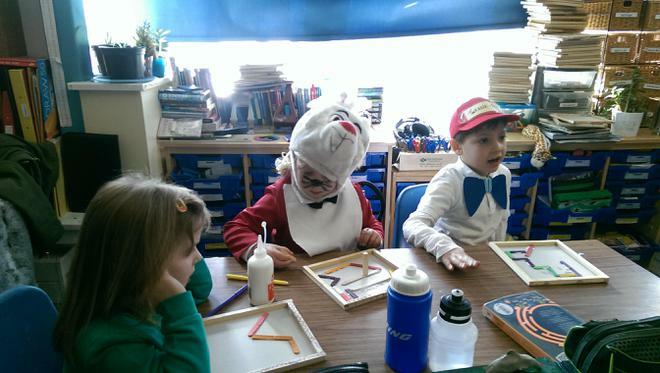 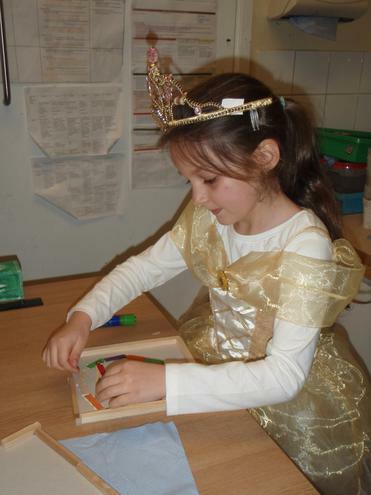 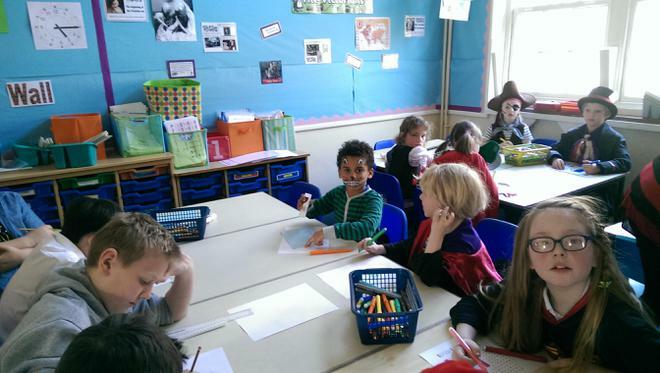 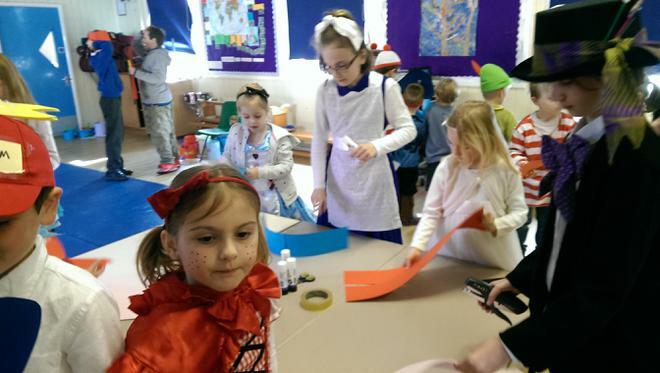 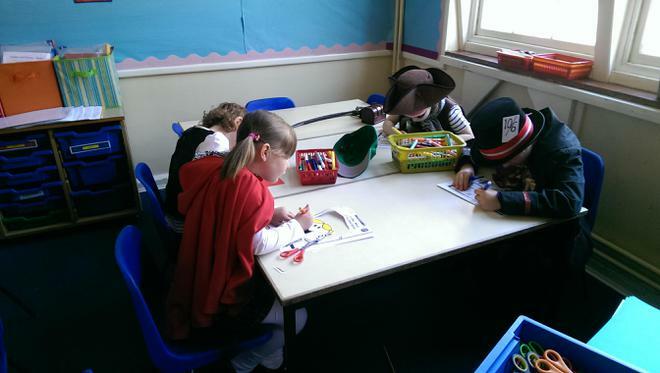 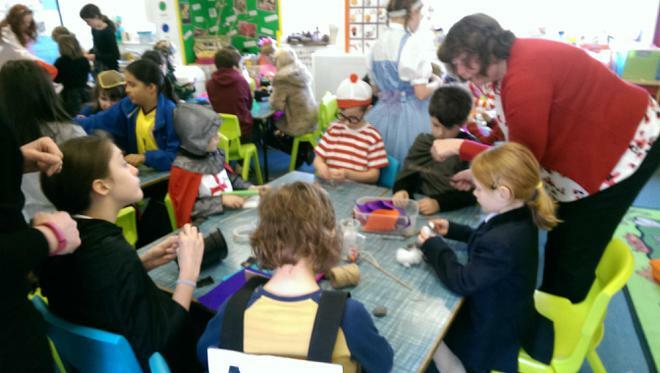 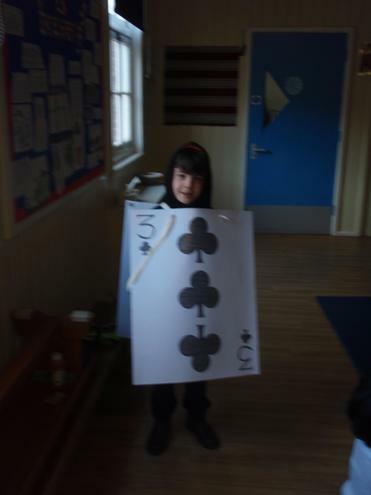 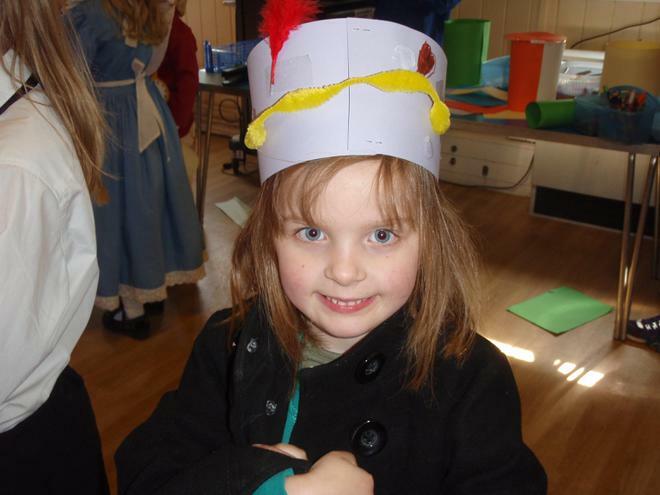 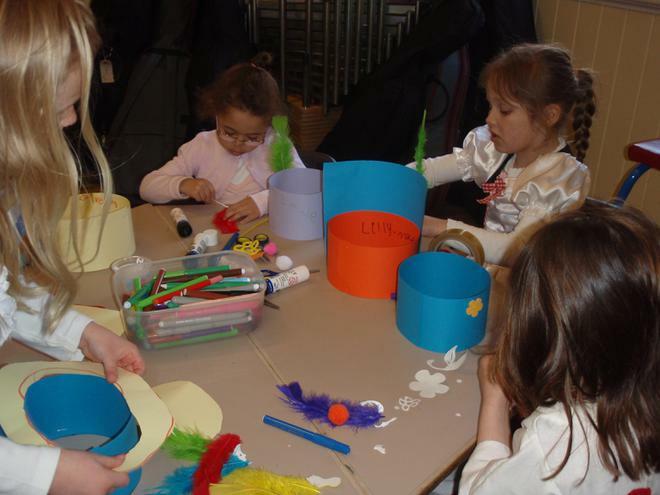 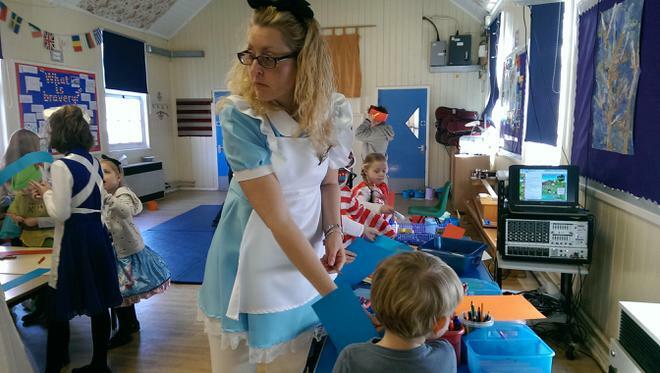 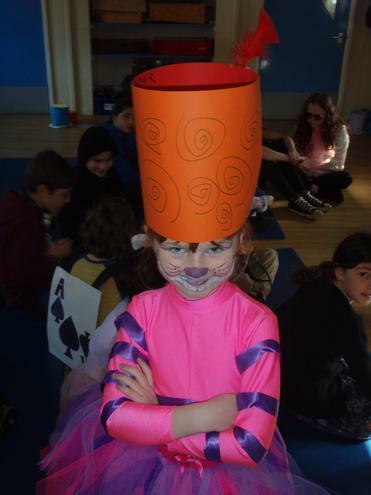 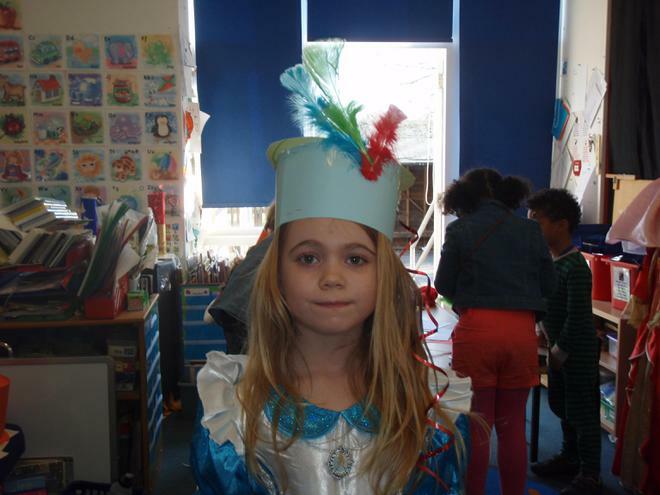 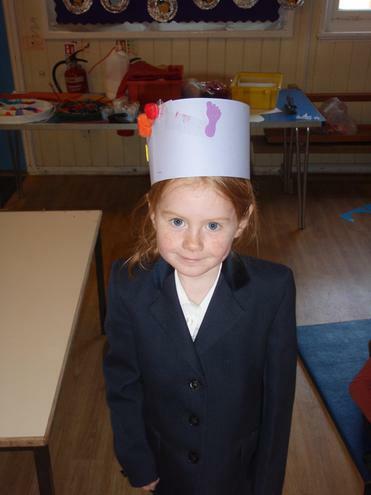 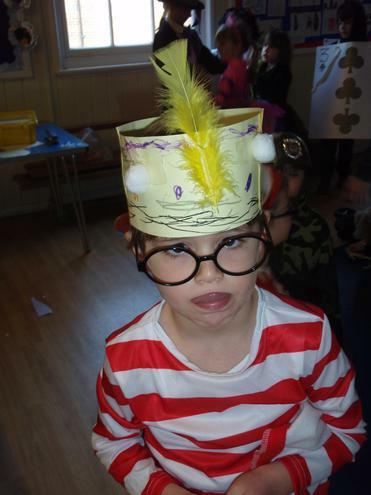 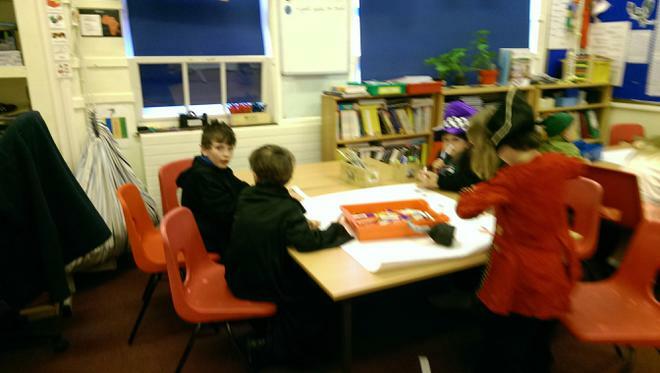 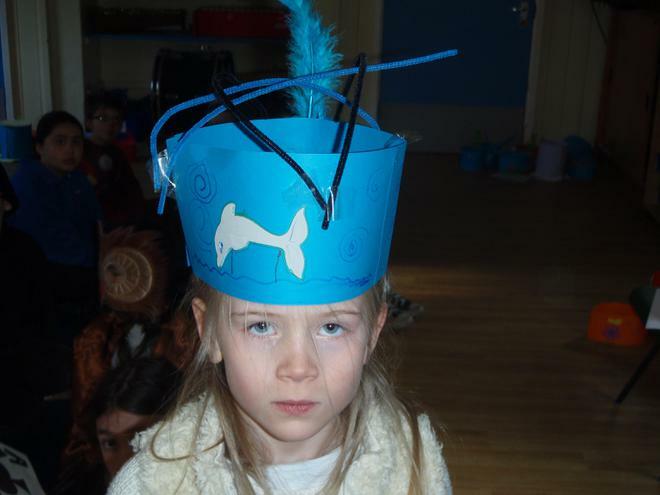 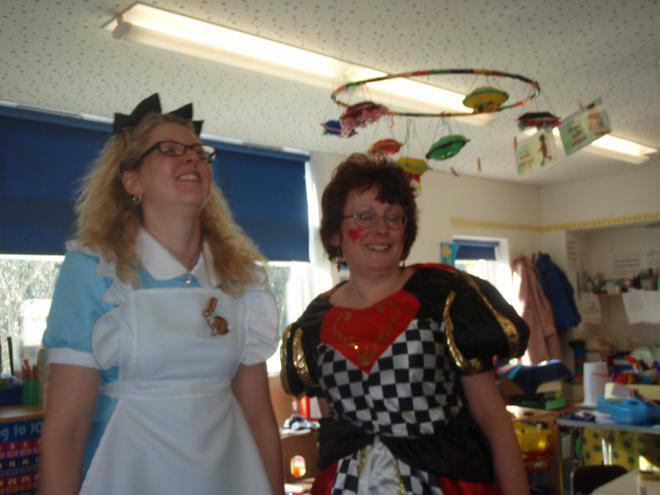 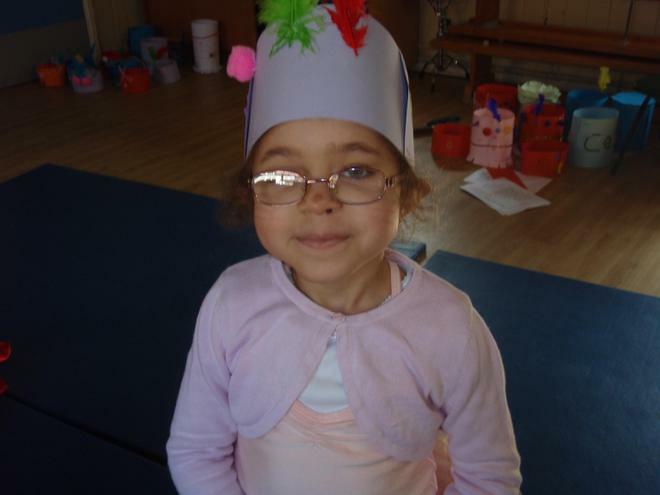 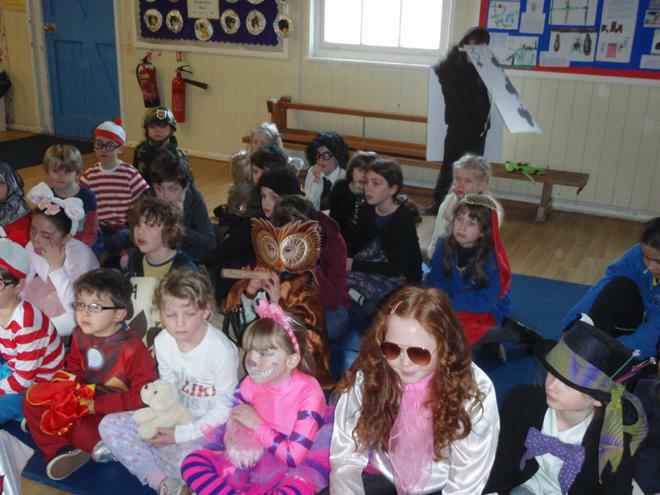 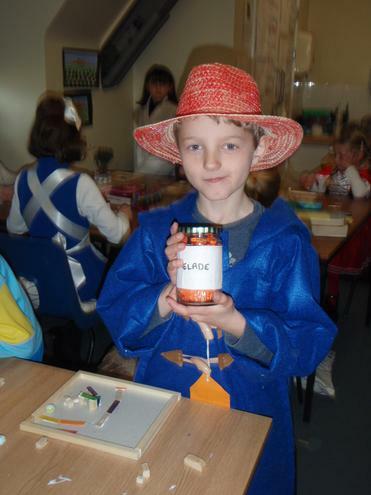 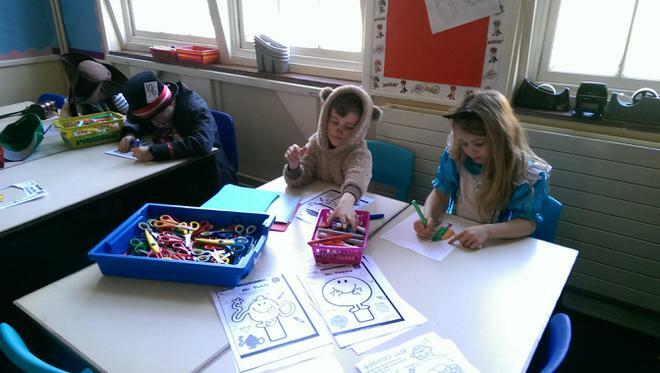 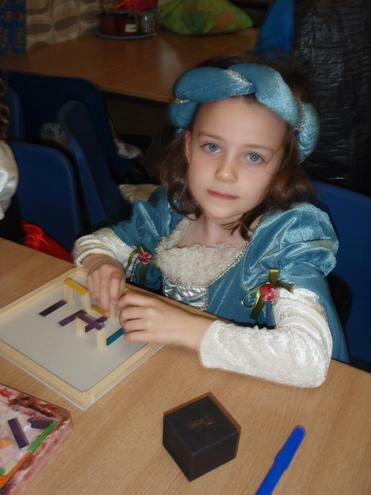 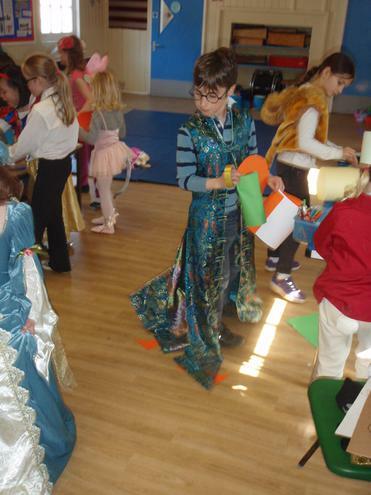 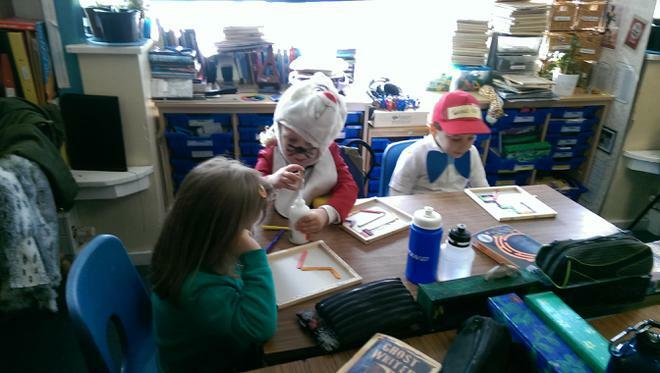 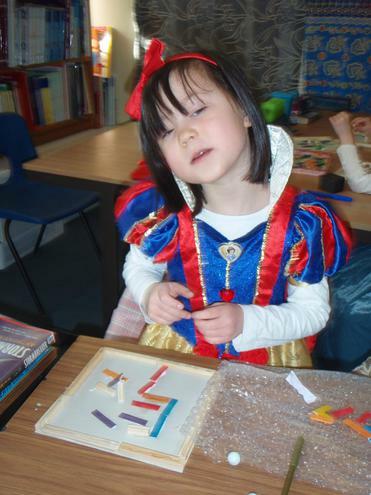 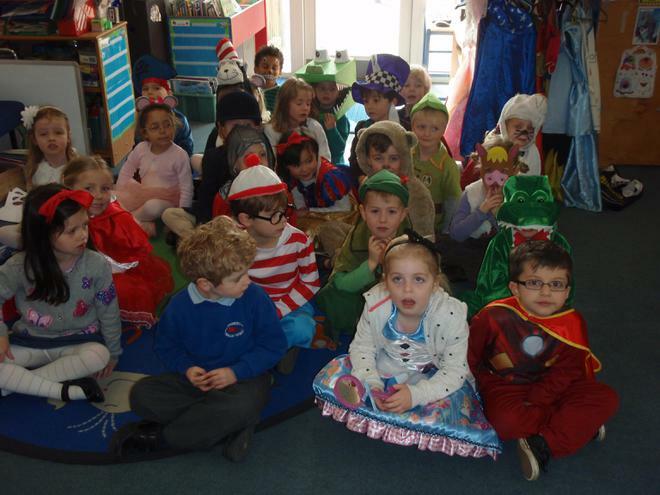 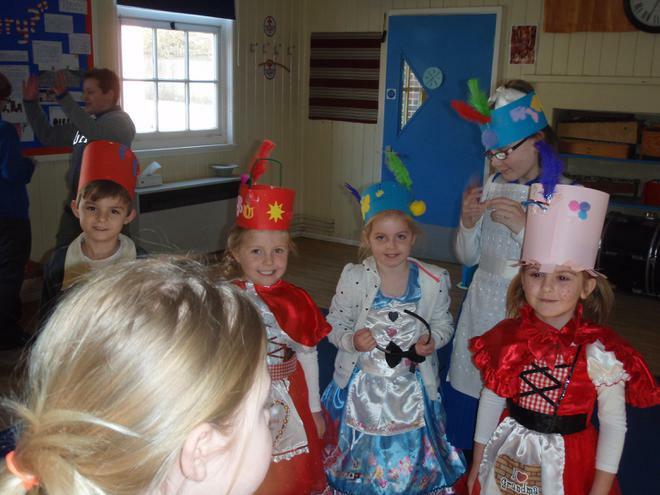 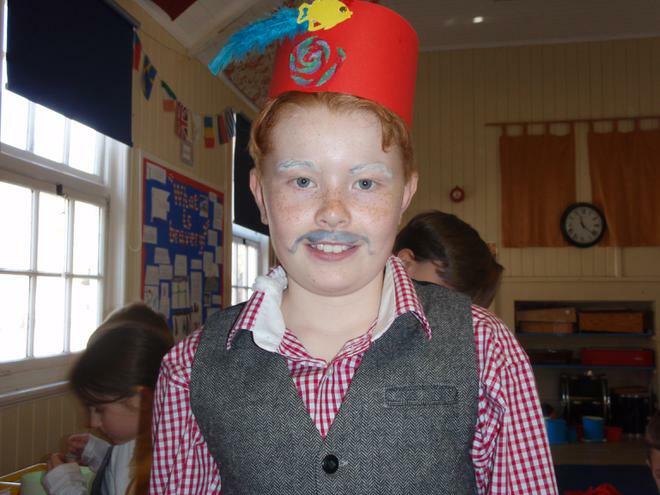 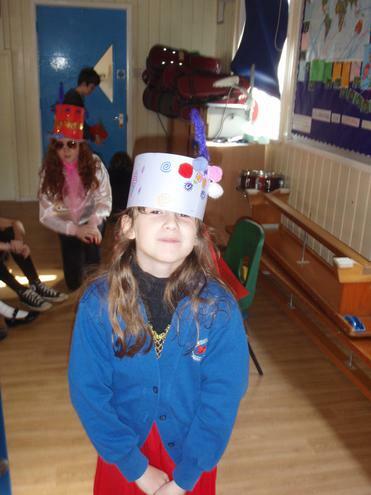 On Monday the 14th of March, the School Celebrated WBD with an Alice in Wonderland theme. 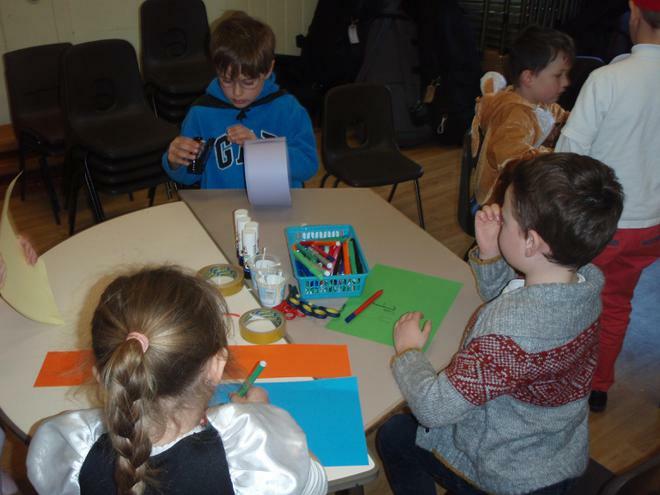 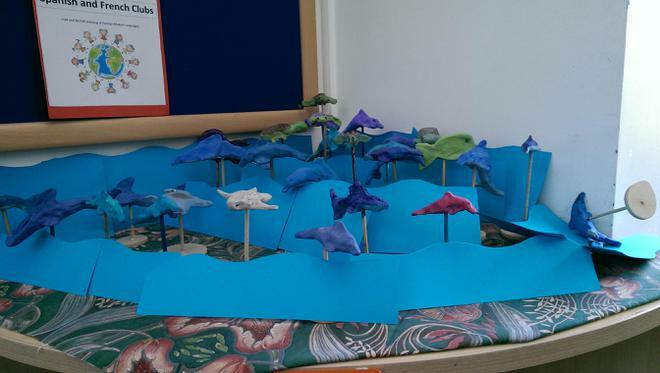 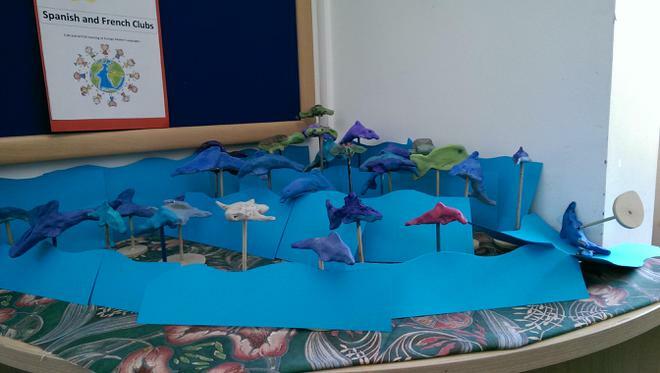 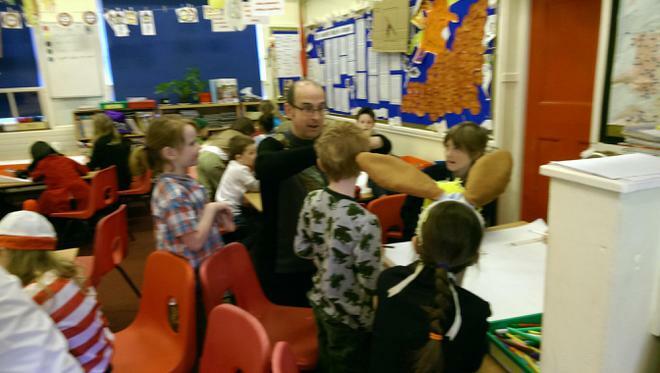 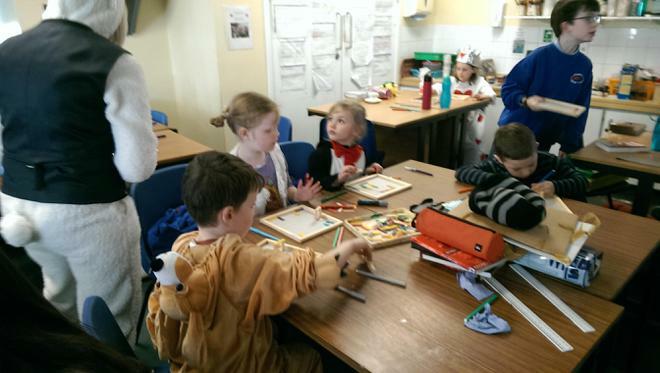 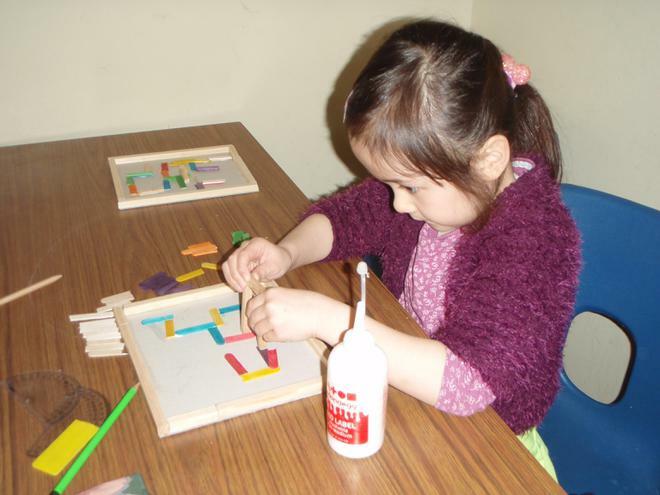 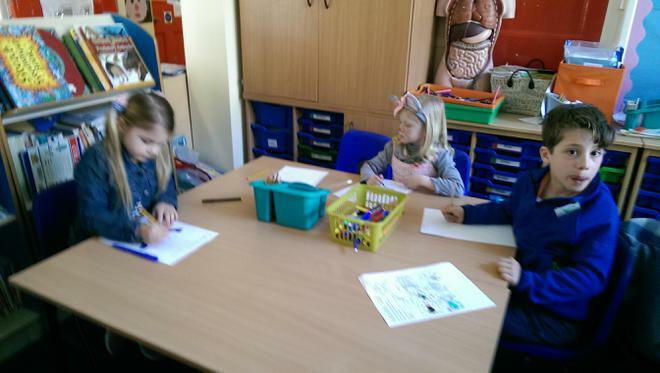 All the children were split into "family groups" (mixed age groups from each class so the older children can support the younger ones) and during the day they all took part in fun book-based activities. 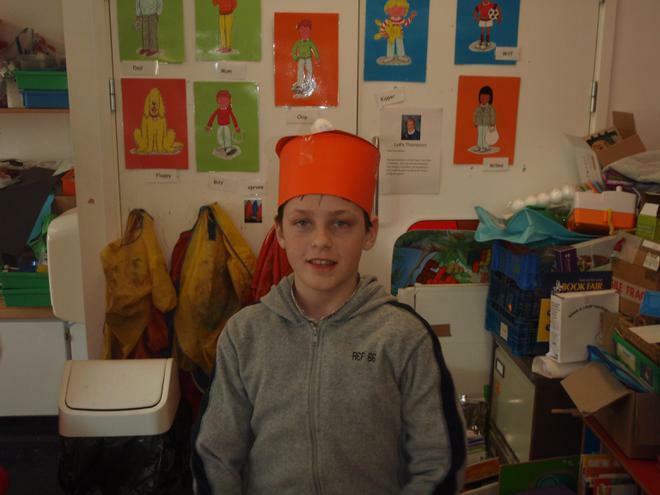 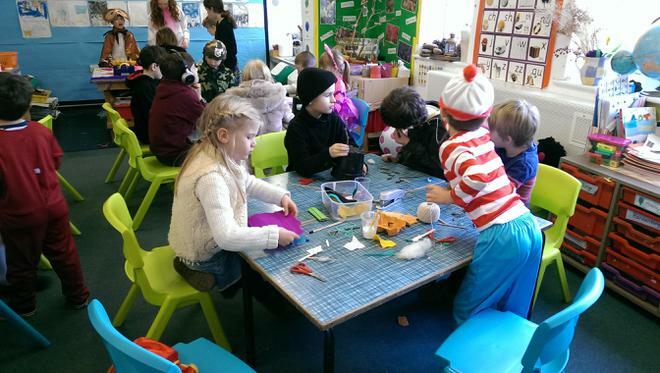 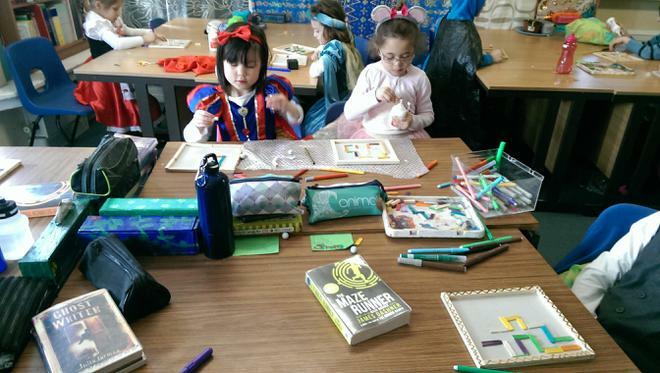 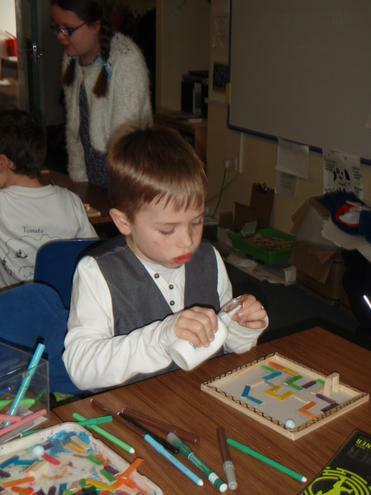 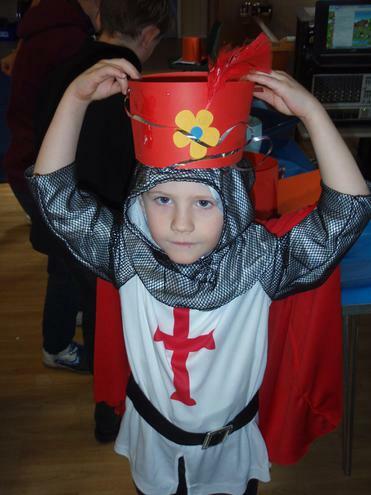 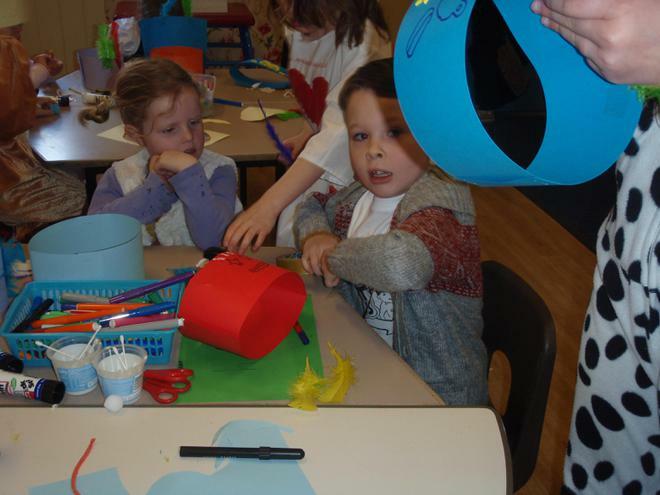 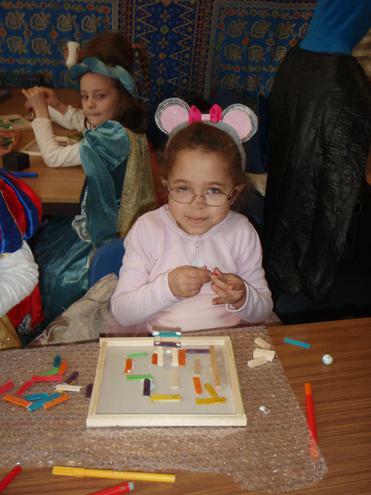 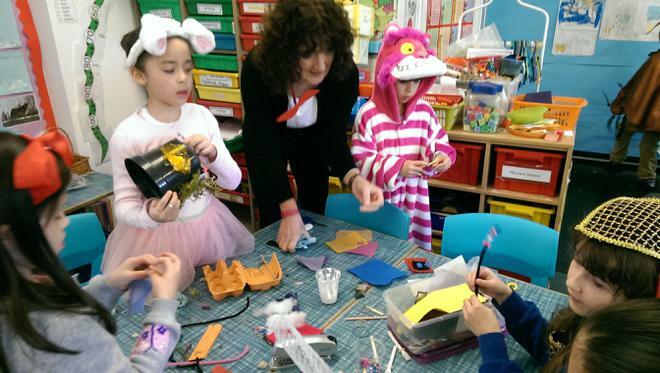 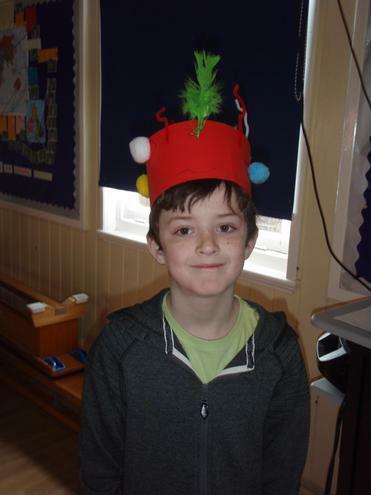 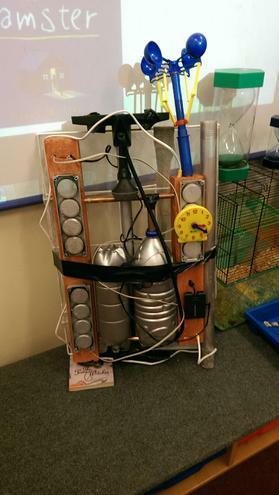 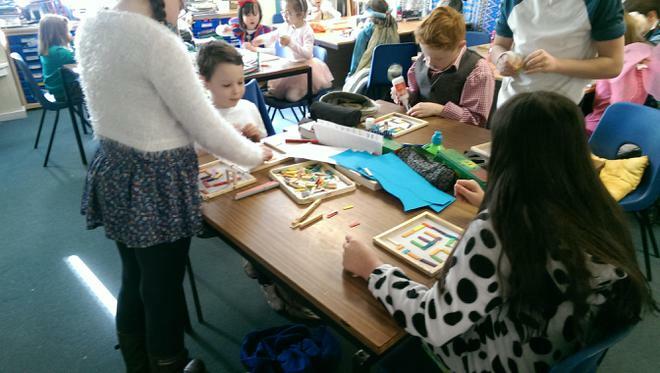 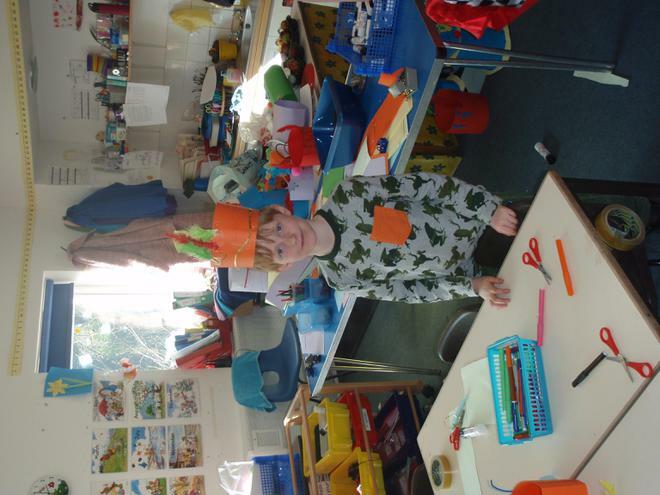 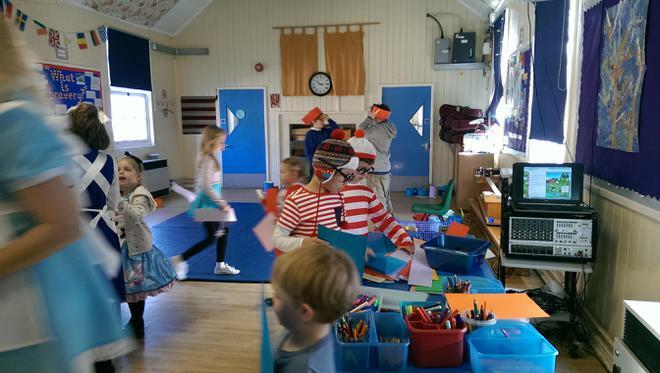 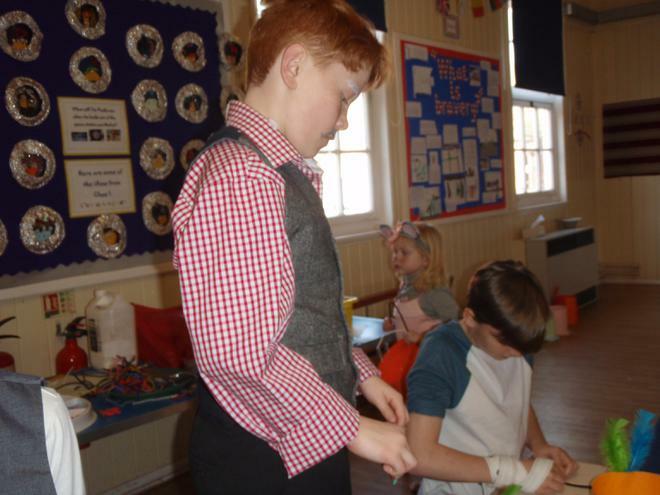 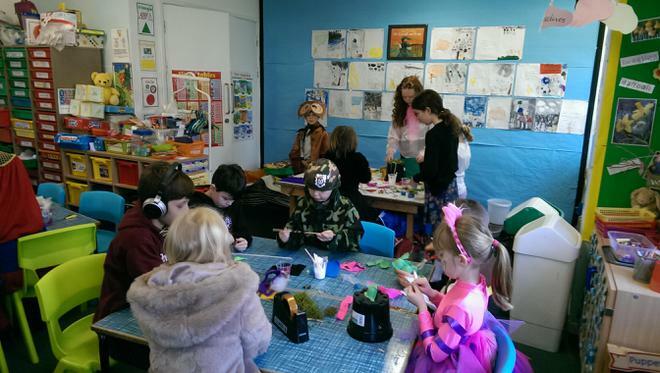 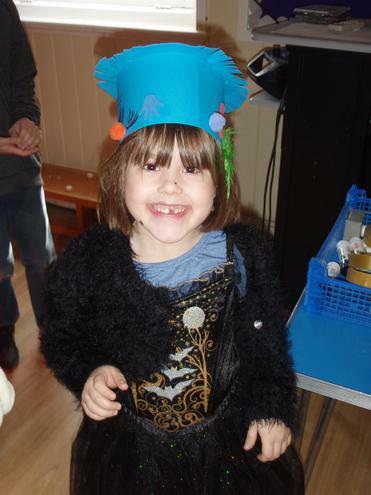 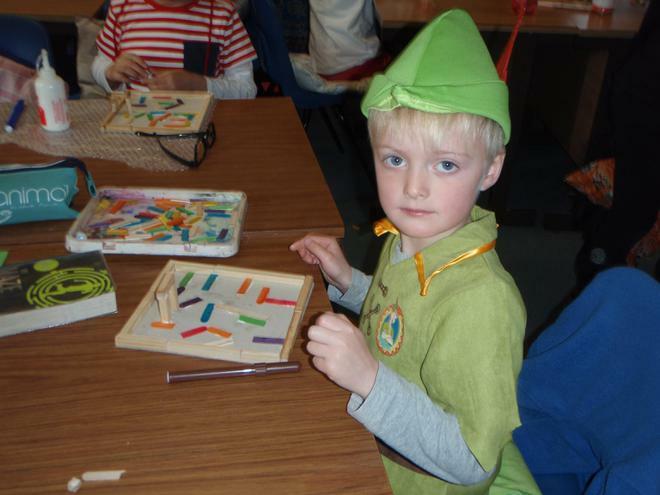 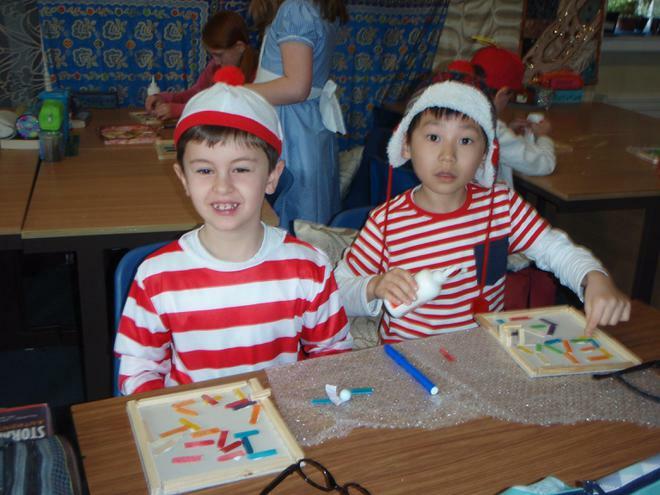 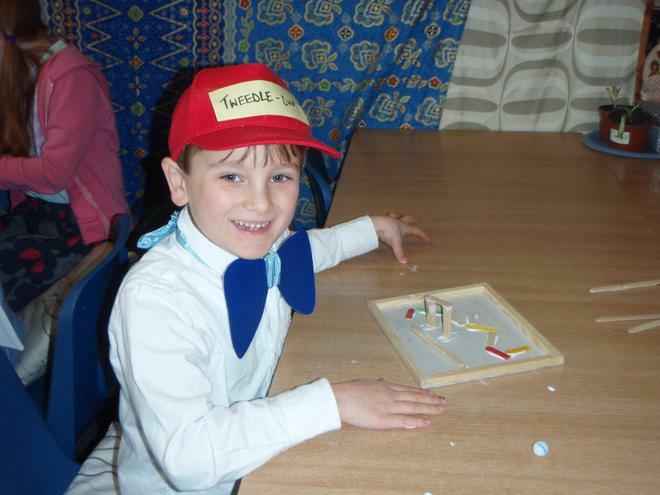 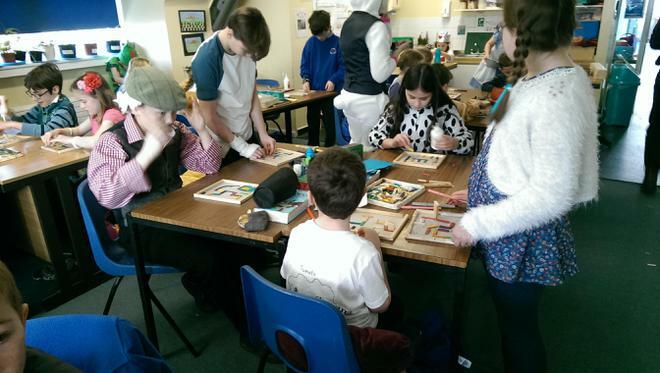 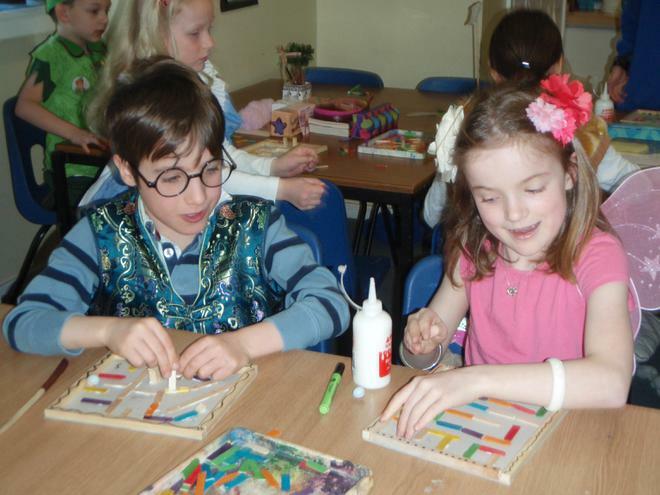 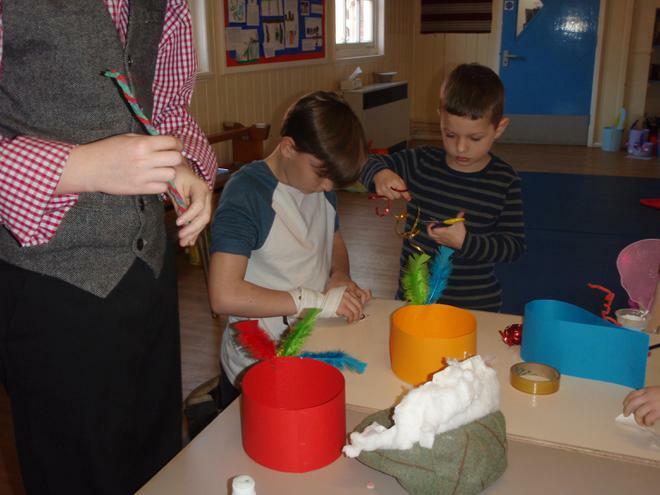 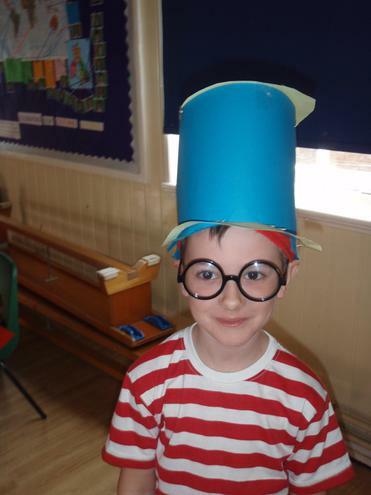 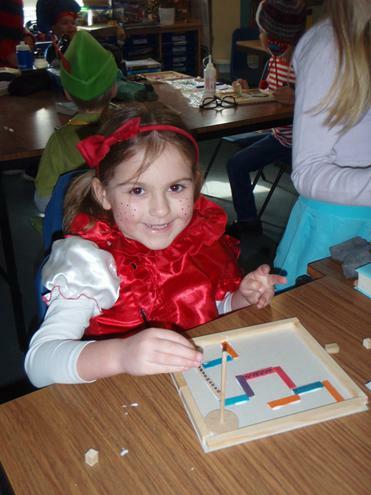 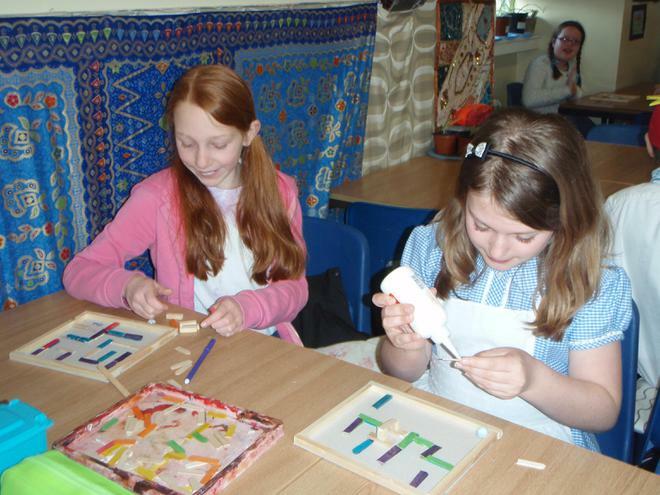 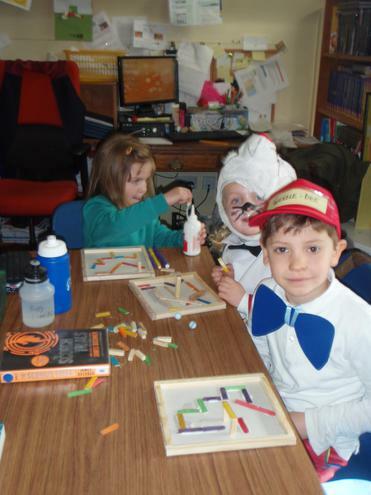 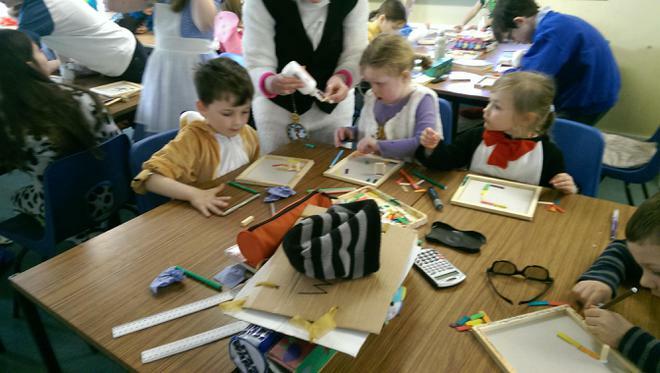 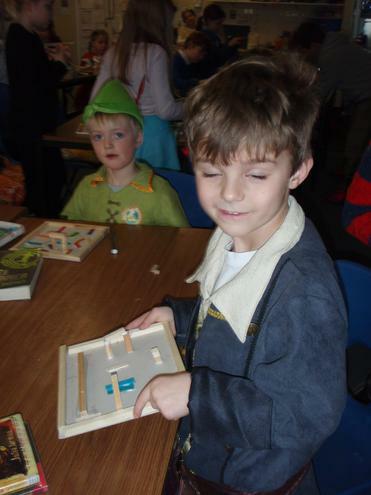 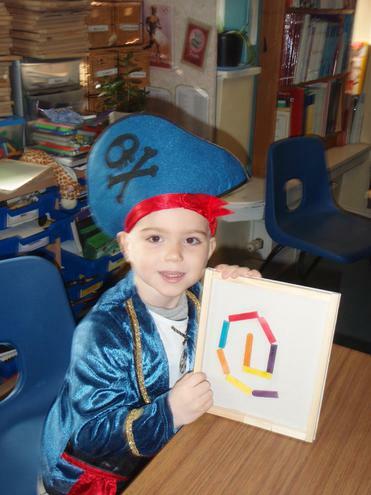 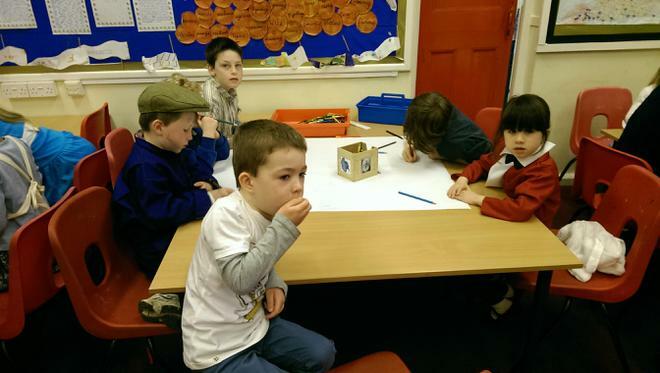 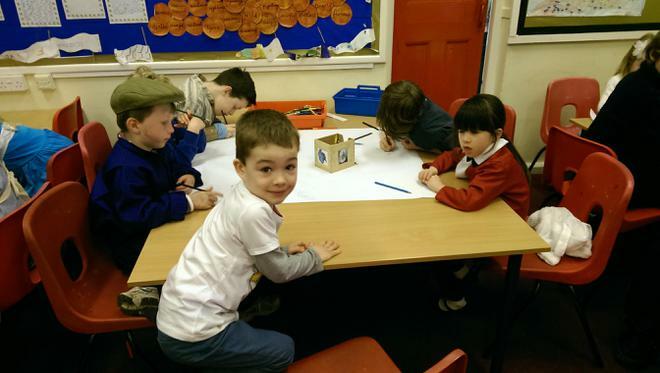 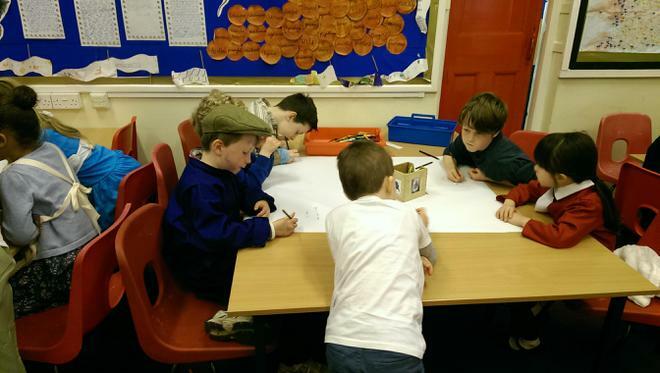 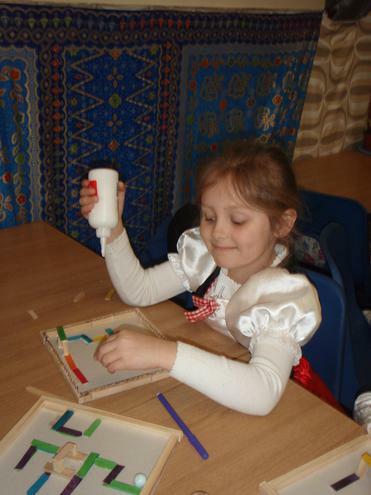 Some of the activities included building your own marble maze, constructing houses for Borrowers, time travelling and Mr Men colouring fun and making some amazing looking Mad Hatter's hats! 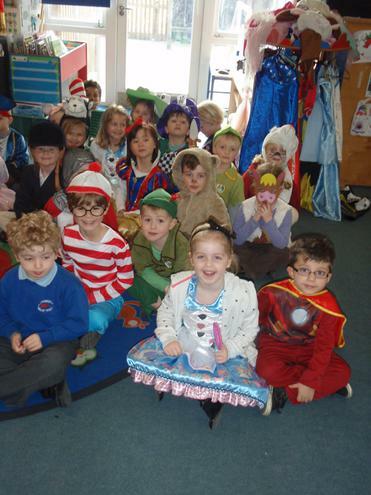 A truly memorable day had by all.